It’s been a busy week, but we’re only getting started. 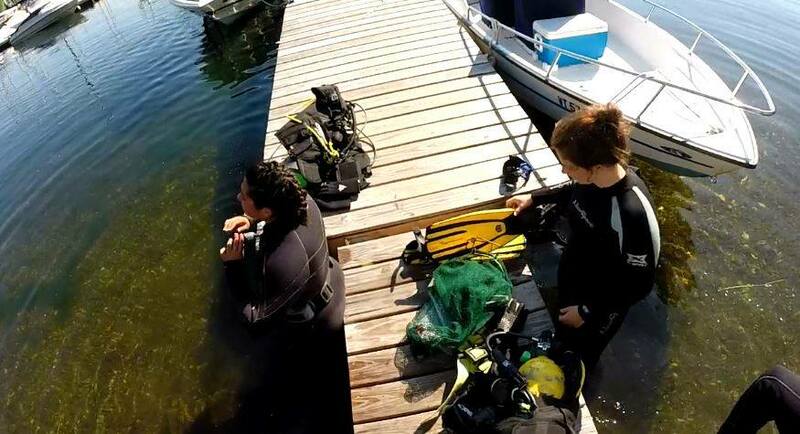 With check-out dives in Basin Harbor on Monday and Tuesday, our team was prepared to start diving on the wreck site at Shelburne Harbor. They toured the four wrecks on Wednesday to get oriented and everyone was excited to get started with the real survey. Unfortunately Thursday’s weather prevented us from diving, but we were back out this morning and the real work began. Divers were divided into four teams, one for each wreck, so that pairs can focus on one hull over the course of the field school. Dive masters and volunteers will also help each pair as needed, and I’m directing shore support to keep an eye on our divers from above, and keep them safe from boat traffic. Divers gear up for their first tour of the four steamboat hulls. Today our teams were focused on familiarizing themselves with their individual wrecks and started laying base lines so we can begin taking measurements along the lengths of the hulls. We even got some pictures and lots of great GoPro footage, and we’re already starting to discover some interesting features that will become clearer in the coming weeks. Hopefully we’ll be able to get some of the underwater footage up to the blog soon too! 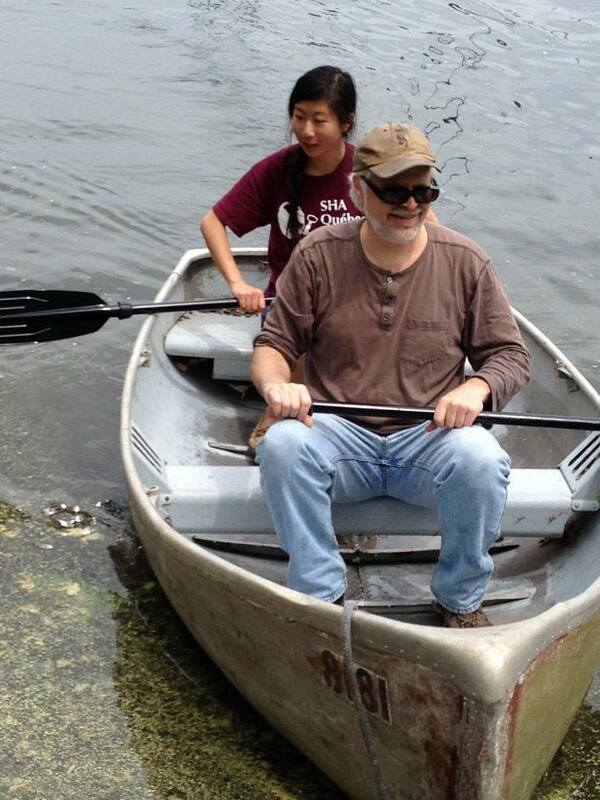 Dr. Kevin Crisman and Grace Tsai take a boat to deliver buoys to key points at the site. We’ve only scratched the surface and you can feel the excitement everyone has to get back in the water and learn more! Boat traffic is expected to be heavier during the weekends so we’ve opted not to be at the site on Saturdays and Sundays, but I know our team will be anxious to dive back in (groaaan) on Monday, weather permitting. Until then we hope to see the Shelburne Museum where the Lake Champlain steamboat Ticonderoga is displayed, and explore some other points of interest in the local area.